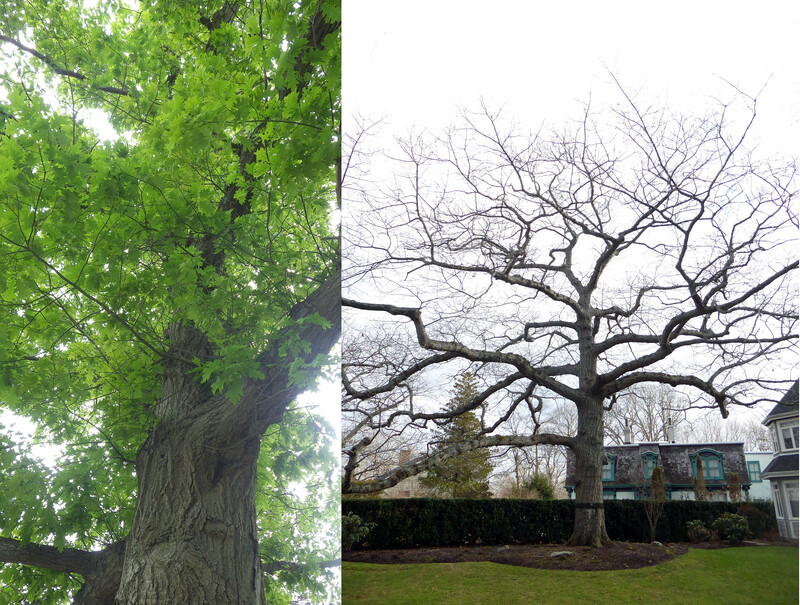 Halifax hosts some magnificent red oaks, readily distinguished at a distance in winter by their distinctive gnarly profiles. When I see one cut down, I like to count the rings and have been surprised at the relatively young age of quite large trees. Several cut trees 2.5-3 ft wide (76-91 cm) I have looked at over past years were barely over or were under 100 years old. Yesterday I came across a recently cut oak that was 51 inches (129 cm) wide at its base, certainly amongst the biggest oaks around. Several counts of the rings on the stump indicated an age of 175 years plus a few years which I couldn’t count because the rings were obscured. 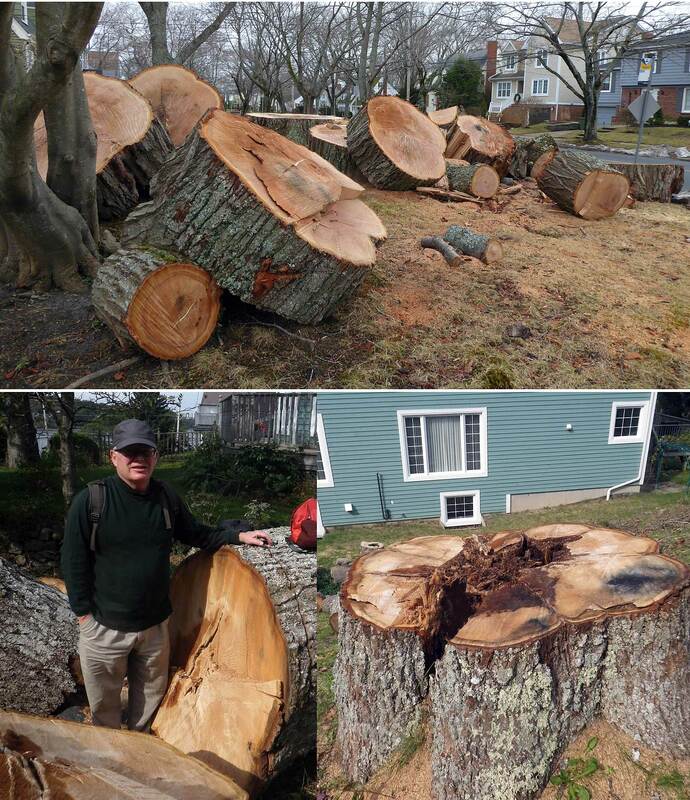 The owner told me that the arborist who had cut it down estimated the age to be close to 200 years. That’s a bit younger than my record so far, 216+ years for a tree cut in 2012 that was 47 inches (120 cm) diameter at about 3ft height; heartwood at the base was quite rotted. The owner of the tree I saw yesterday said it had a lot of dead branches, so it had to be cut. 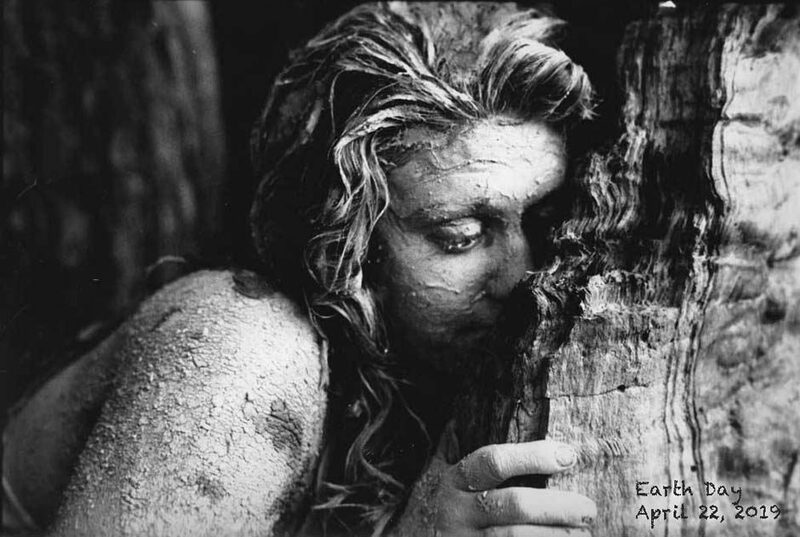 I suspect windy Nova Scotia is quite hard on red oaks, broken limbs opening the trees up to fungal infection, so they don’t approach the extreme ages reported for red oak, circa 500 years. I have seen two other large “polypore” mushrooms on old oaks in Halifax, but only once in each case: Hen of the Woods (Grifola frondosa) and Berkeley’s polypore (Bondarzewia berkeleyi). 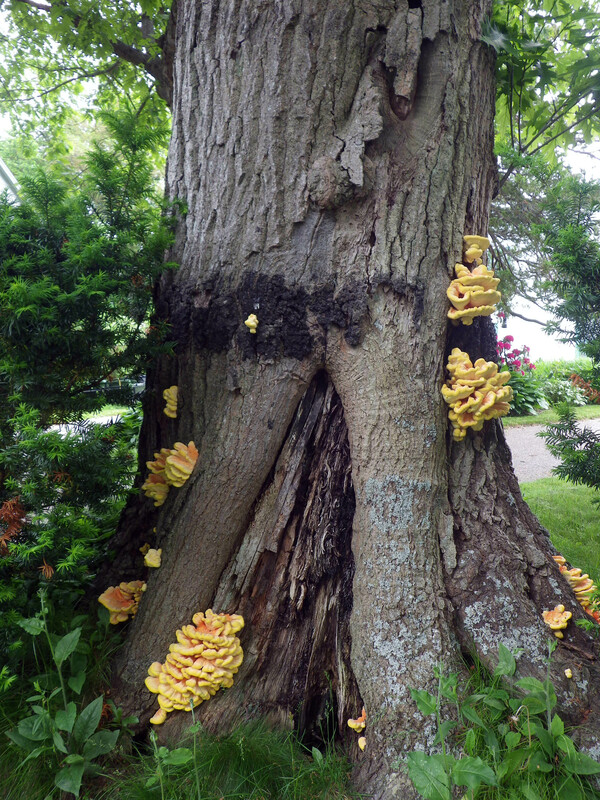 (View Pics) Both are, like Laetiporus sulphuretus, parasitic on oak and cause decay. Both are also edible but I haven’t yet sampled them. They are all quite striking in appearance and where they are quite prominent (as in the photo at left), I leave them for others to enjoy. This entry was posted in Natural History, Urban forest. Bookmark the permalink.